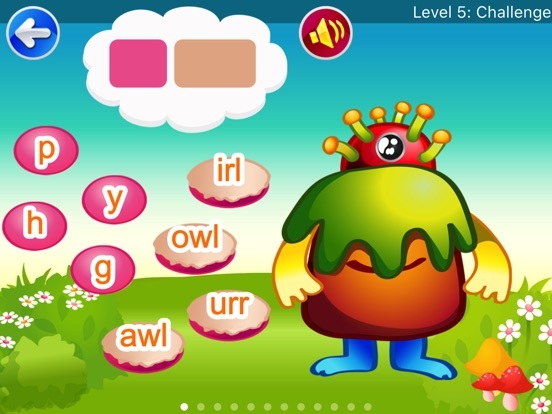 Howie Word Monster Lite includes word building game and vowel finding game to help build your child's reading and writing skills. Learning to build words by sounding them out adds to a strong foundation in reading for beginning readers. 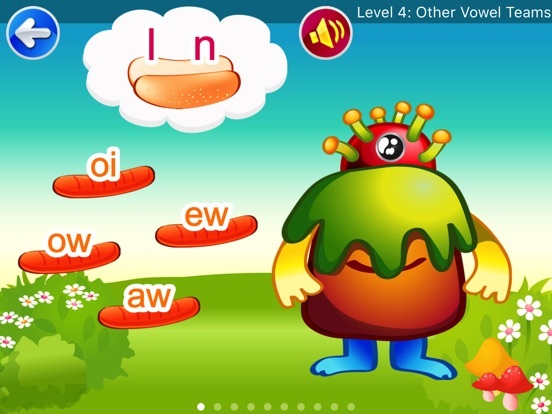 All of the app’s 80 words can be sounded out using common phonics rules grouped by Short Vowel, Long Vowel, Bossy R's and other Vowel Team words. 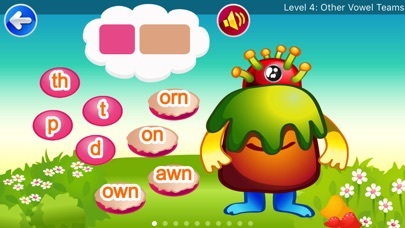 In word building game, your child will choose the beginning sound and rhyme to build a word. 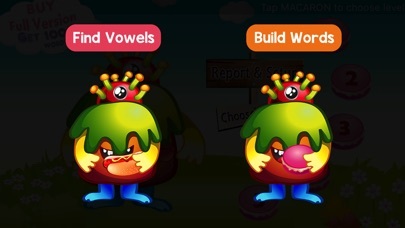 Each correctly built word will feed Howie a macaron. Learning vowels helps your child to distinguish distinct words such as fan fin fine fun, and recognize those words easily. 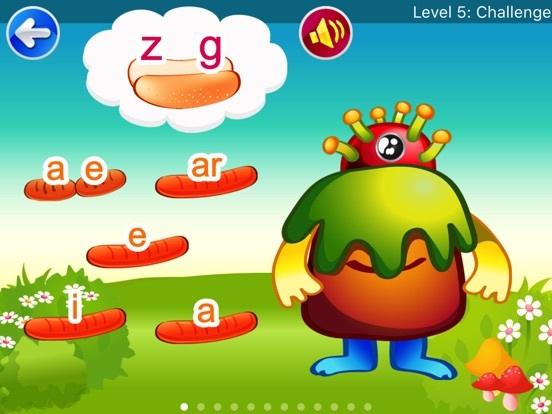 This app is useful not only for reading but spelling and writing also. 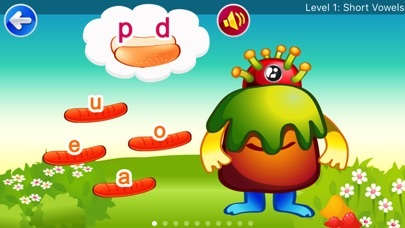 It uses phonics to help your child learn new words by putting sounds together to make words (like /b/ /a/ /t/ bat). So your child will be able to read and write words correctly without memorizing. 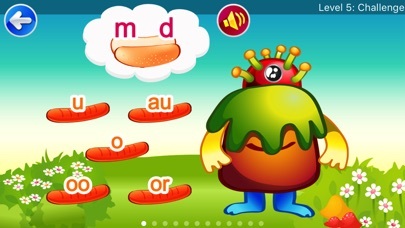 In vowel finding game, your child will find the missing vowel in the word. Each correct word will feed Howie a hotdog. Howie Word Monster Lite also includes a progress report (play history with game details) for a parent and teacher to track their child’s performance. This is a great app to improve your child's reading abilities and memorizing new words in a fun and interactive environment. **In the full version, your child will learn more words (up to 1,110 words) and the additional setup options are included to control the level of word difficulty and customize the number of questions to match your child.